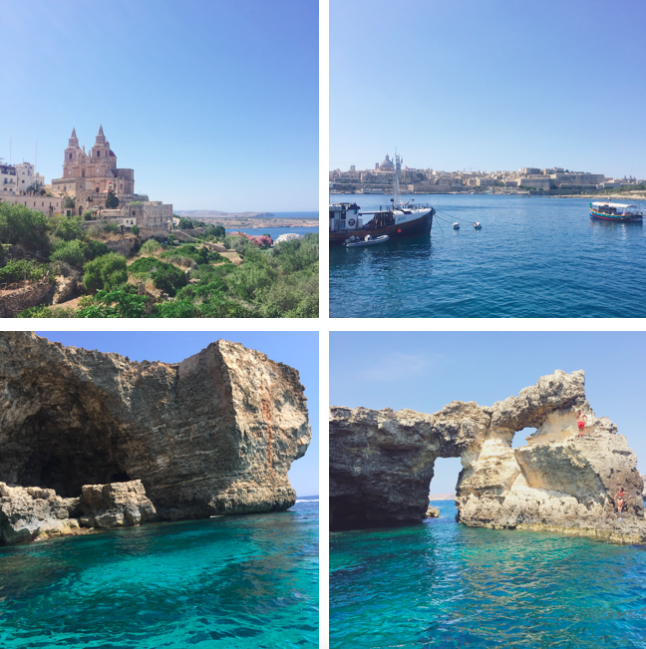 From time to time I receive messages on Instagram asking about my two trips to Malta; what is there to do in Malta? Where should we go in Malta? and so on. 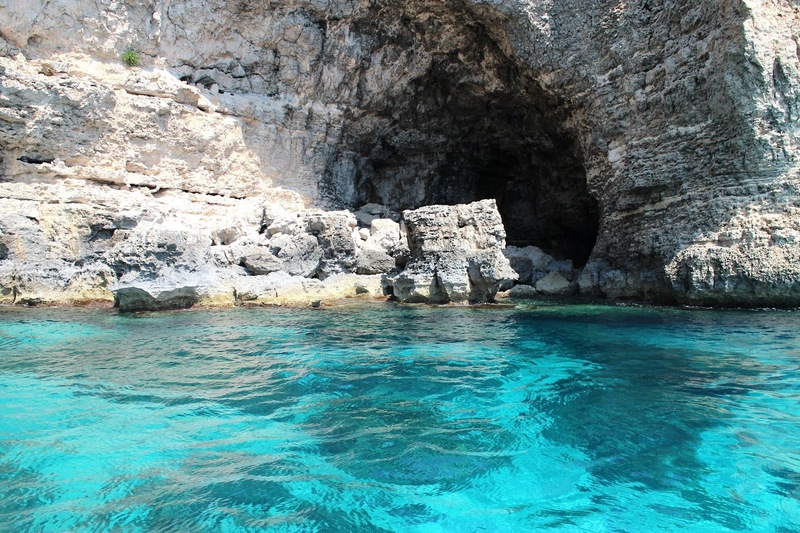 Which is why I decided to put this 'Top 3 Things To Do: In Malta' post together. I'm pretty fortunate that I've been able to visit Malta twice now. Once during winter, and once during the summer. Summer being my favourite time to visit. The weather was fab and the island was covered in beautiful flowers. However, if you can't handle the heat - winter is for you. I have family there and thankfully I've been able to stay with them on both occasions, meaning my advice is limited in terms of hotels and accommodation. But the island itself and things you can do? I think I'm pretty clued in there. There really is so much to see and do and there are still a few things on my list to see yet, but these are my Top 3 and I'll definitely be doing them again. Thankfully the island of Malta is quite small, and as a tourist I found the transport service to be pretty decent. There's a number of bus stops and routes across the island to get you where you want to go, so if you're staying in the South of the Island, getting to the north isn't that far of a journey. 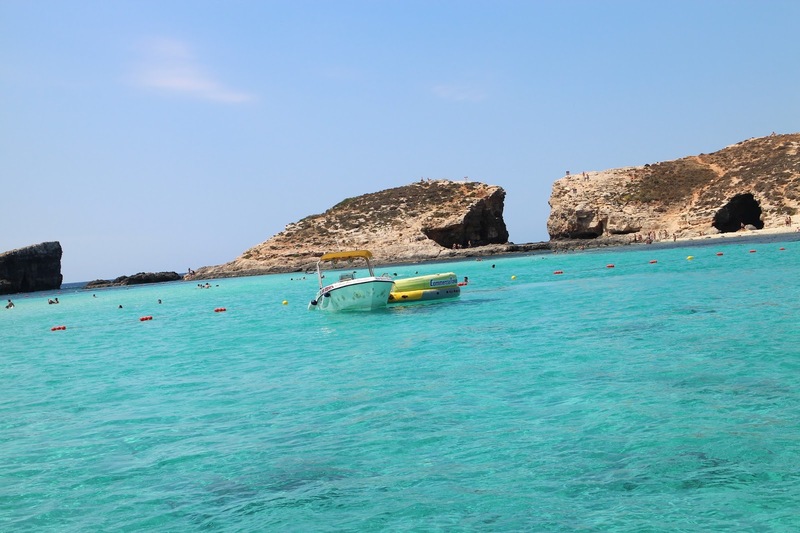 My family are located in the North of the island close to Mellieha Bay which is the ideal spot if you're looking to take a boat tour to Gozo or engage in some water sport activities. We took an 'English rose cruise' out to camino and spent some time at the Blue Lagoon. 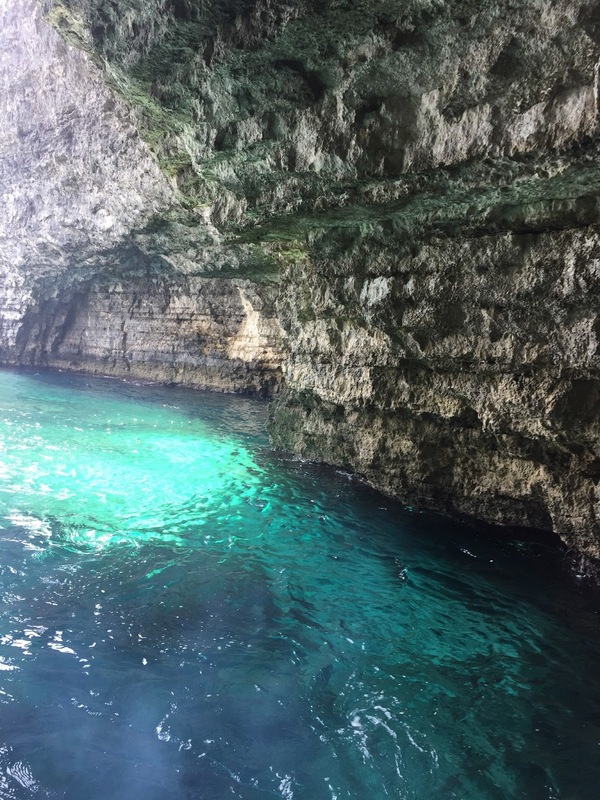 With this tour we managed to get the best of both worlds - clear blue waters, and the opportunity to get up close and personal with the number of caves scattered along the way. I recommend booking a tour for early morning, that way you have the cool evening to explore other areas of the island. is truly stunning. I've never seen anything like it. 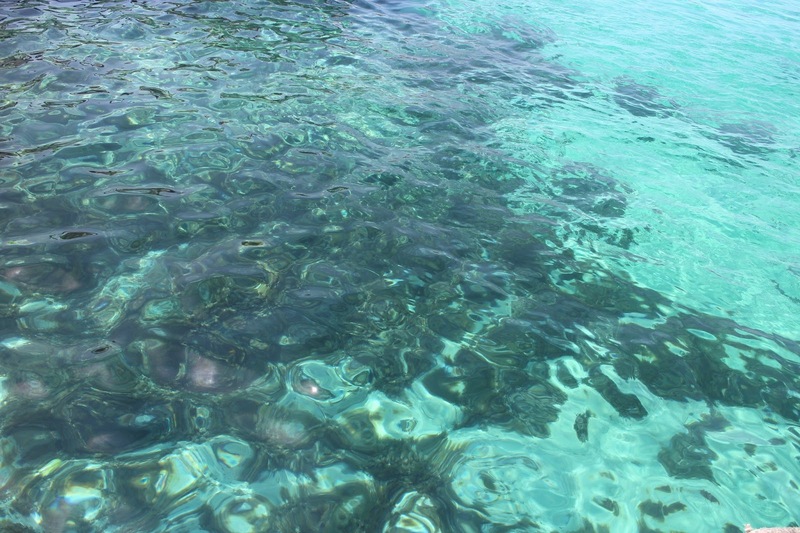 The water was so clear and clean, it reminded me of when we were kids and would look through travel brochures and questioned if the water really was that incredible. I was disappointed, because I can't swim so I couldn't fully enjoy the waters, but I did dangle over the edge. It's a shame because there's so much going on out here, and it's like a big party and everyone is so relaxed. There's people on the island selling ice cream and water, but I recommend bringing your own little picnic, save you having to climb over all the people and lose your spot by the water. Sunset at Mellieha Bay The last thing I recommend doing before you leave Malta? Take in the sunset from the beach. It was top of my list of things to do because lets be honest, everyone loves a good sunset. 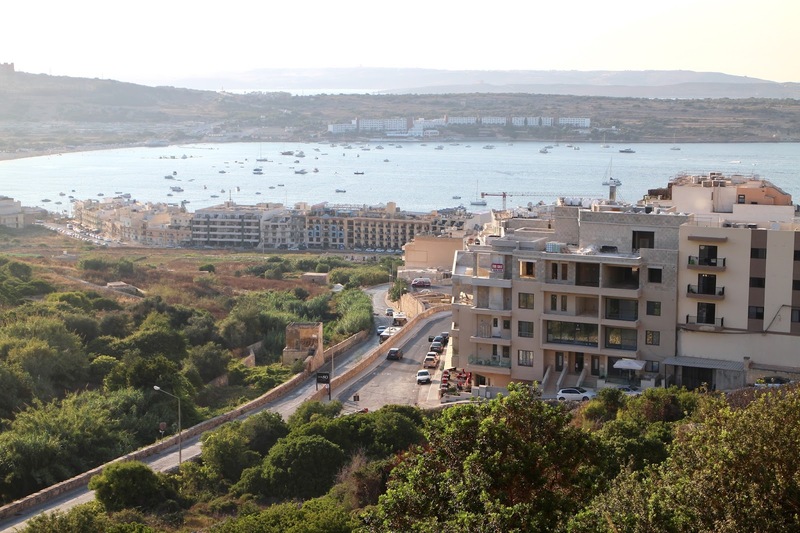 We headed down to Mellieha bay one evening and had a little picnic alongside the docks and watched as the sun slipped behind the hill in front of us. The fairy lights really added to the experience, watching them twinkle over the water. It was so pretty and peaceful. If you've had a busy day checking out the sites, I really can't recommend this enough. A few blankets, some fruit and good company and it will be the highlight of your trip. The best things in life are free after all. On both my visits to Malta I didn't really venture too far from the North East of the island. But I thought I'd throw in just a few more suggestions. Shopping in Malta? Head to Sliema. 'The Point' is three stories and home to shops like New Look and Bershka and the best bathroom for selfies. 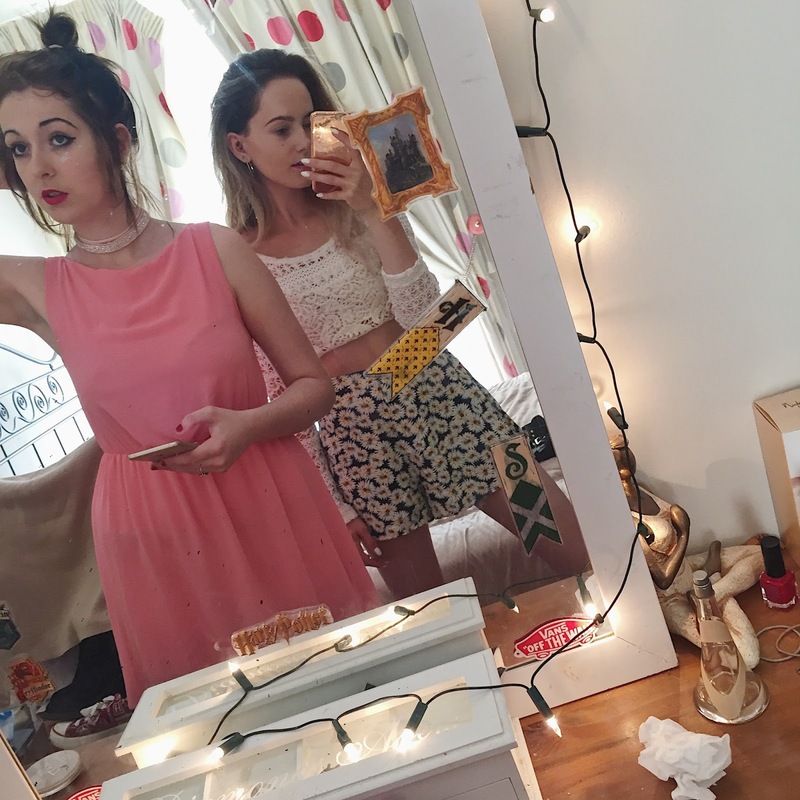 We've been known to take a selfie or 10 in there. Sliema is pretty hilly so wear your comfy shoes that day, there's tonnes of cute shops and cafes and it's a really nice day out. Night out in Malta? St Julians is the place to go. Dragonara Casino is one of the prettiest buildings I saw when I was over there, if you're looking to do something a little different this is the ideal thing to put on your list. Game of Thrones fan? There's a number of locations across the island where scenes from the show have been filmed, it's top of my list to go back to Mdina and imagine myself being in GOT season one haha. There is really so much to do, and depending on when you book your flights you can get a decent enough deal. I always check on skyscanner, and have never spent more than 120€ return. It is a long flight, so make sure you have enough to entertain you. Great post this place looks beautiful !